Pros: Excellent choreography and direction, making efficient work of Buchner’s story with a very capable cast. Cons: The story feels slightly compressed to fit into the time-slot. 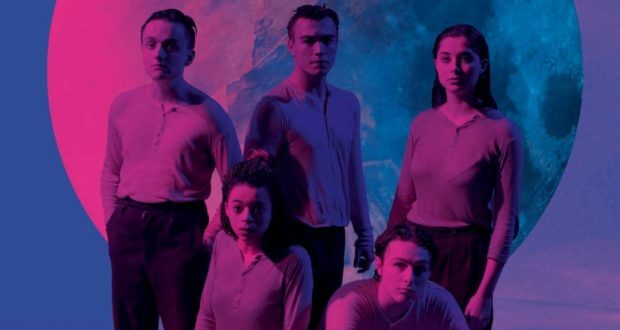 Another supercharged and innately watchable production from physical theatre company Spies Like Us, this time tackling Büchner’s classic play. Last year’s Edinburgh Fringe had its own portal to Havana when a young theatre company, Spies Like Us, adapted Our Man in Havana to serious critical acclaim (ahem, not just from me – it was so popular they’re reviving it later this month as well). 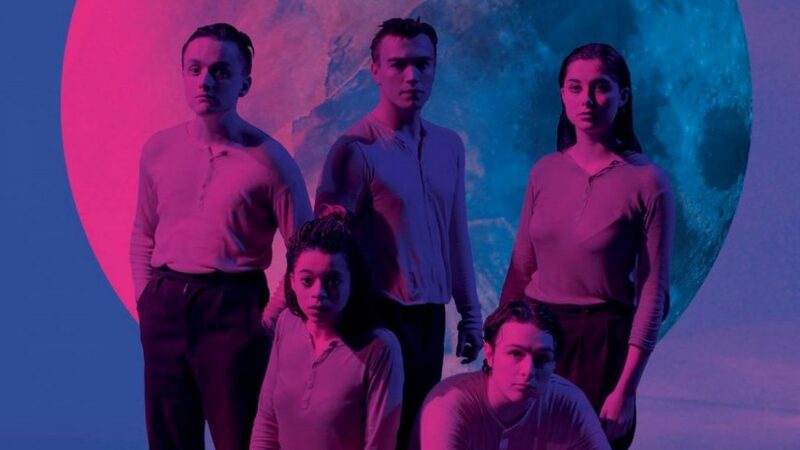 Could their follow-up Fringe show, an adaptation of Georg Büchner’s Woyzeck, reach similar heights? It turns out it could. The subject matter is very different – floundering army dogsbody Franz Woyzeck (Alex Holley, a strong lead) is at the mercy of a demanding Captain (Hamish Lloyd Barnes, adding some comic relief) and a scheming Doctor (Tullio Campanale) who experiments on him. Meanwhile, Woyzeck’s mood-swings and work stresses affect an already weird relationship with his partner, long-suffering Marie (a haunting Phoebe Campell). He’s unlikely to be nominated for Dad of the Year any time soon, either. Minimal props, slick choreographed movement and identical costumes mirror their previous production, especially when all five actors move in sync, but the mood is obviously much darker. Buckets provide percussion, and a soundtrack of retro blues songs winds its way through as Woyzeck and Marie drift further apart from each other and Woyzeck drifts further still from his own sanity. Compared to other recent productions of Woyzeck, this is a condensed version: last year’s Old Vic adaptation, starring John Boyega, was 2 hours 15 including an interval; Birmingham Rep’s adaptation was 1 hour 30. I always feel Fringe productions do better when they’re an hour or less, because the average audience member won’t have room in their schedule for an Old Vic-length epic. However, whereas last year’s Our Man in Havana suited a frenetic pace, there were times when this production felt rushed, with less opportunity for flourishes of Zak Nemorin’s choreography or those extra few seconds of pausing, brooding and menacing, especially in developing the friendship with Andres (Rosa Collier). An extra five or seven minutes is all it needs. Spies Like Us are hugely gifted, and it feels like you’re being let in on a secret when you watch one of their shows. The cast and crew are midway through different university degrees or, in one case, about to start university, so the feat of putting on this show when you’re scattered across the country is inspiring in itself (at their age, I was hanging out in Wetherspoon’s). They put companies twice their age to shame. Woyzeck will definitely be another hit for them, and I’m intrigued to see what’s next.